Nothing says summer like this cheerful paper, cherry on top! We will be using it during our stamp class today, to make the sour cream, treat container. If you haven’t made one, I hope this paper inspires you. Today is the day we, have been waiting for. 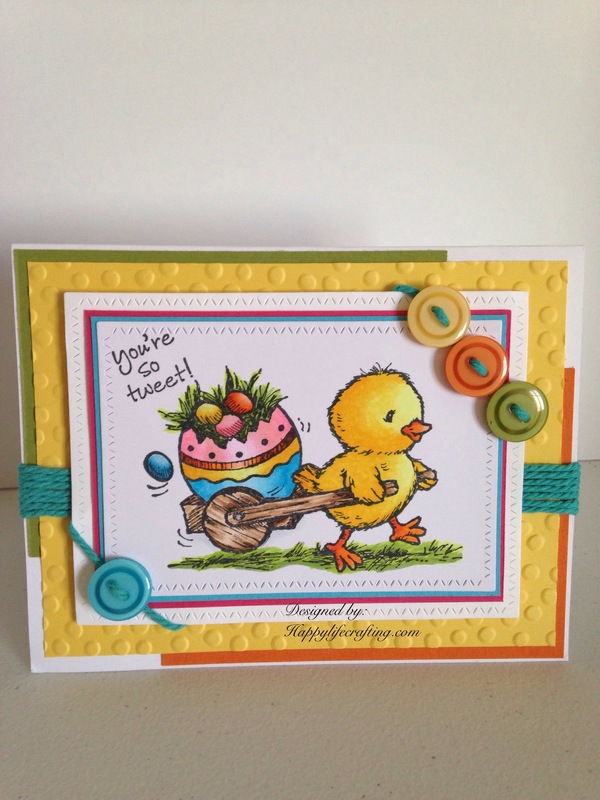 The 2015-2016 catalog premier for Stampin’up. Check out all the new products by clicking shop now, at the top menu bar or click here: my store There are also weekly deals, and clearance items you can browse through. 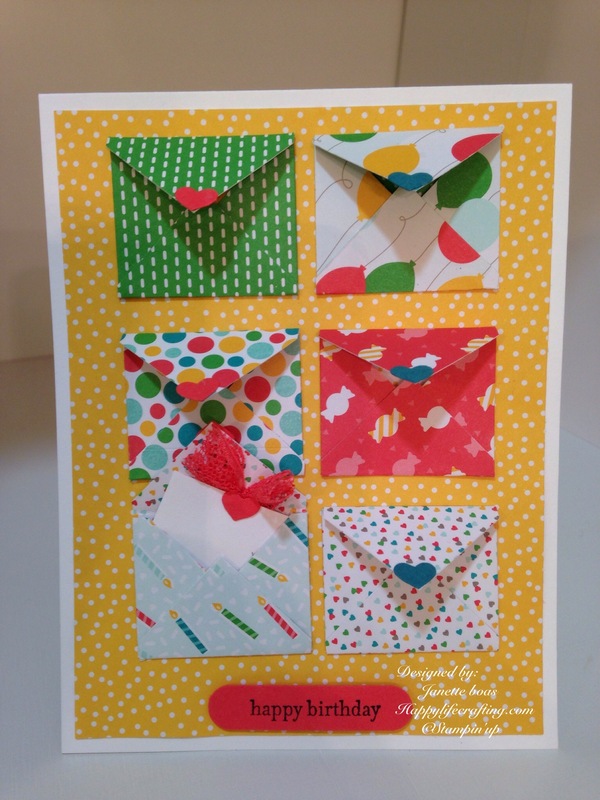 Here is a fun envelope card using the colorful, cherry on top paper pad. The supplies for all projects will be listed below. Here is the sour cream container, using the cherry on top paper. It is filled with yummy, lifesavers. 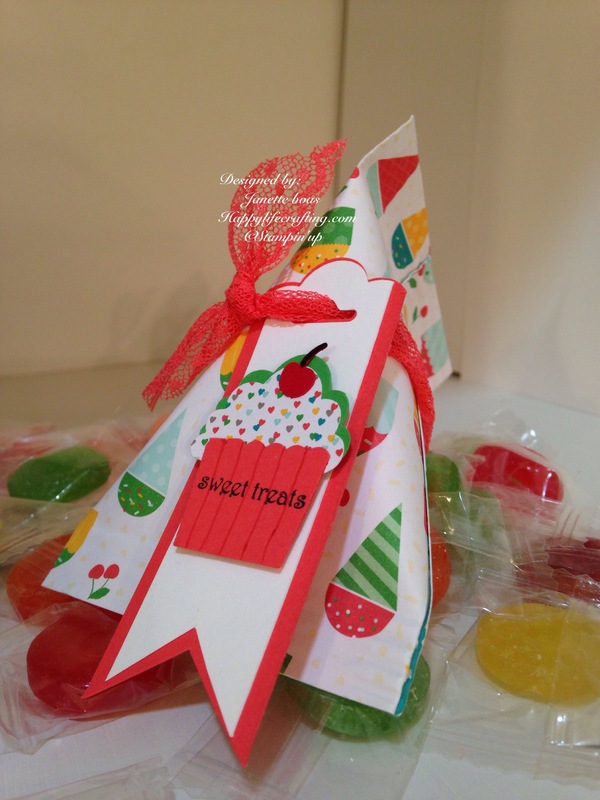 These are perfect little goodies for party favors, holiday treats, table place settings, and to share with friends. Be Happy.. And have a happy life crafting! Supplies needed to make these 2 fun projects are listed below.